…and the combination just got cheaper! 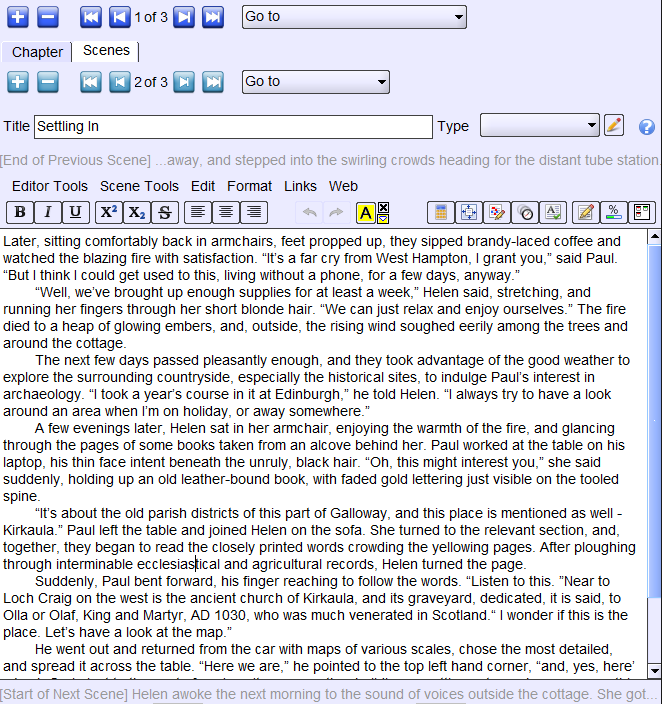 Whether you’re a beginning writer or seasoned professional, no other combination of writers software for fiction writing makes it so easy to write great stories. For the past 5 years, WriteItNow5 has been the recognized leader in fiction-writing software. Read more about WriteItNow5 (farther below). Over the years, therefore, many WriteItNow5 users have been also using StoryCraft to enhance the storyline development part of their stories. That’s why the two programs truly are a match made in heaven. WriteItNow5 writer’s software has… storyboard and storyline development, quick access to every part, thorough scene and character development notes management, chapter and scene management, idea generator, name generator, character generator, book formatting, writing targets and page-number goals, submission management, readability scores, thesaurus, global search & replace, customizable step-by-step prompts & guidance throughout, and more — as well as export to Doc, PDF, ePub and HTML. 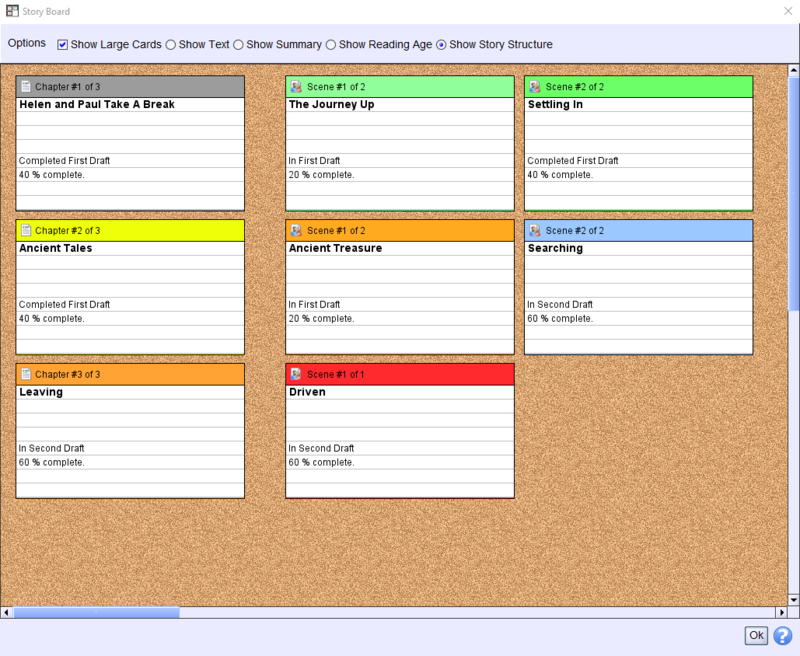  Navigation is a breeze with multiple ways of getting to every part of work on your story. The entire program is designed with the Instant-Access-to-Everywhere-You-Work Principle, which means that you have uninterrupted access to every element of your story, writing, notes, ideas, illustrations, front matter, and so on…at every second! 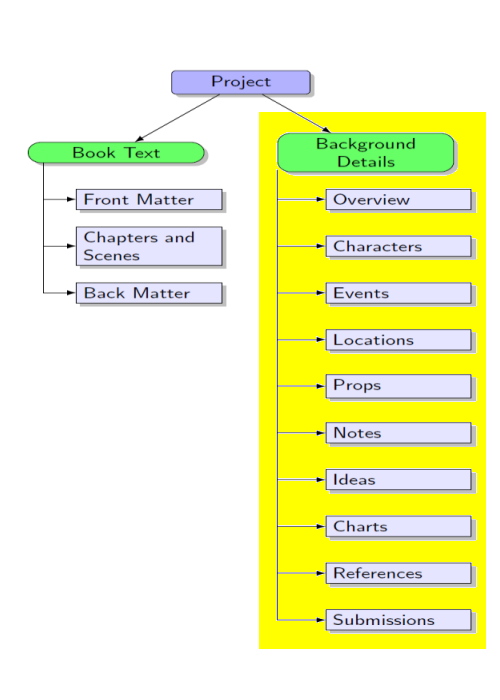 The Tree is the heart of navigation in the WriteItNow5 writer’s software program.  The Chapters section is where you write each chapter, composed of as many scenes as you need. 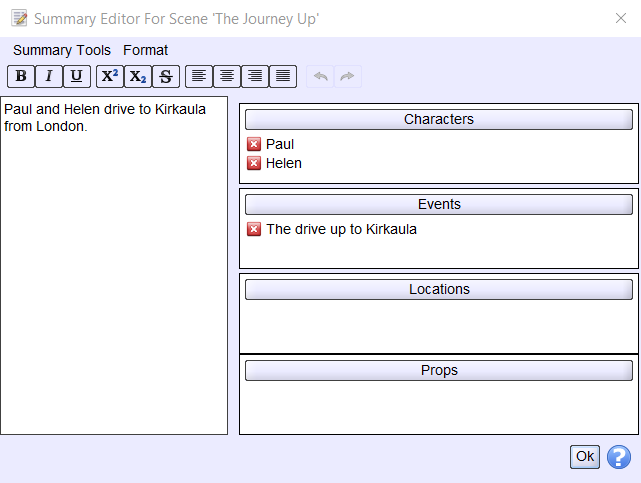 And a Scenes Summary provides a broad overview of what’s happening in your story and a quick way to make general changes. 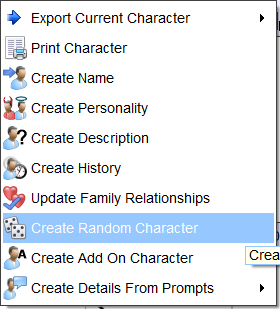 The Character Editor identifies each character and gives access to each element of your story’s characters for developing highly compelling characters with virtually unlimited detail. 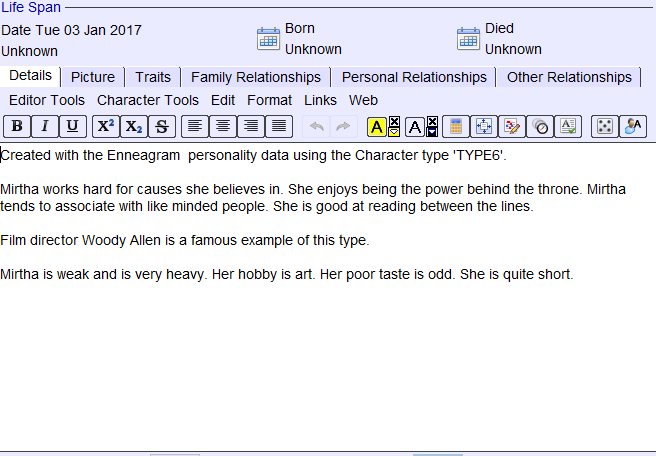 A Character Generator randomly generates an array of character types based on Enneagram Personality principles. 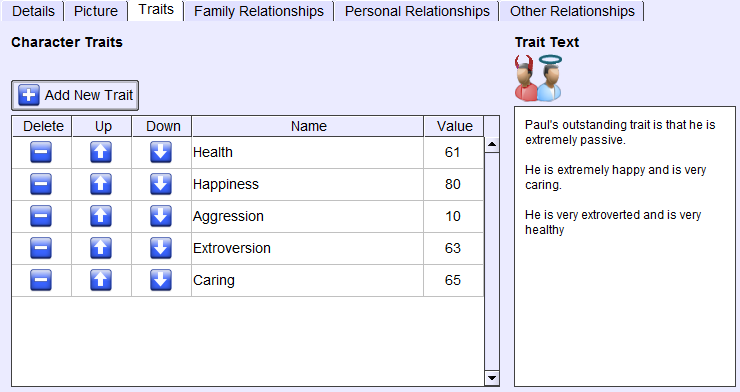 And a Personality Editor helps you flesh out each character’s personality traits. You can have a picture of each character generated to give visual power to the story-creation process. 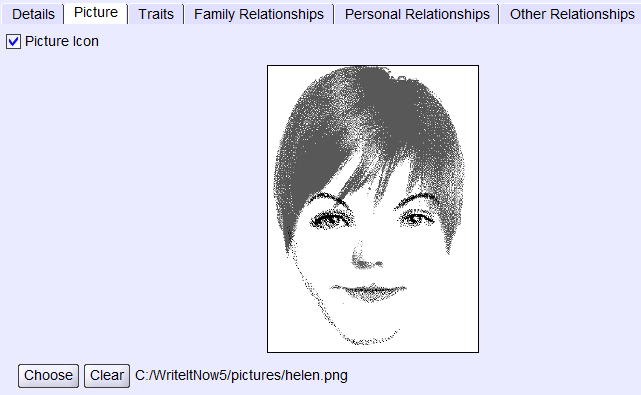 And Family Relationships can easily be established in WriteItNow writer’s software with the Family Relationships tool.  And there’s more, lots more! The Project Outliner gives the writer an instant overview of the entire landscape of project elements and creativity tools. 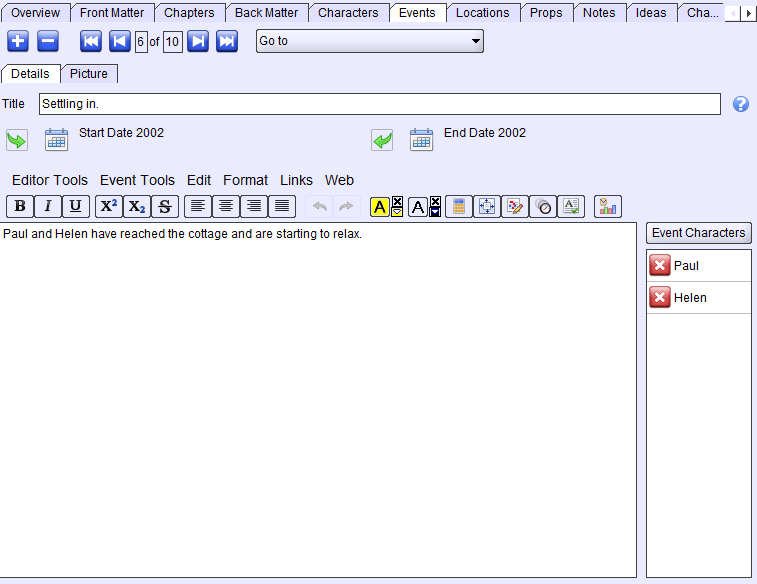  The Events Editor allows you to make detailed notes on each event within your story at each stage of the story.  The Locations Tool is where you can compile details about each of your story’s locations.  And the Props Tool is where you record every crucial item within your story.  In addition, there is help and guidance throughout — including a 40-page online Quick Users Booklet and exhaustive 300-page online Users Manual — as well as customizable prompts for every step of every task. And Target Goals for word count and time spent are at the bottom of each writing section to tell you exactly how much work you have completed and push you towards completion. 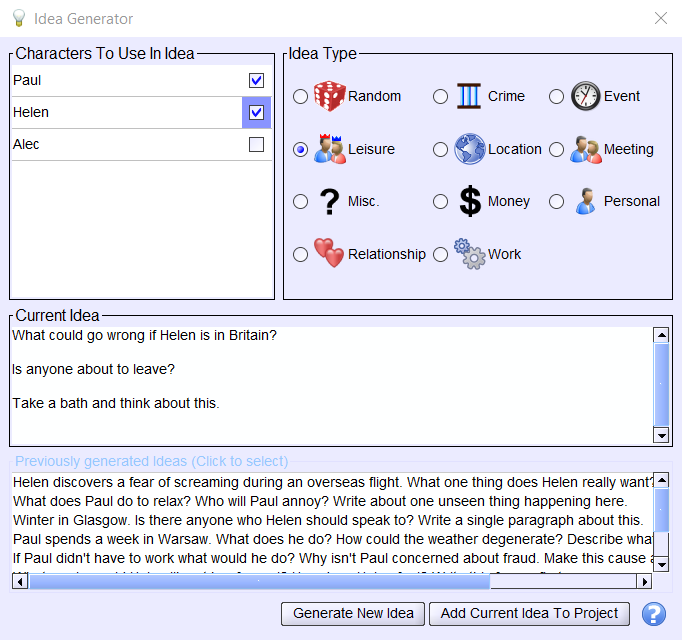  And an Idea Generator that can be applied to each character, offering prompts for ideas pertaining to crime, events, leisure, relationships and other story challenges, all of which can then be described in as much detail as you wish to write. 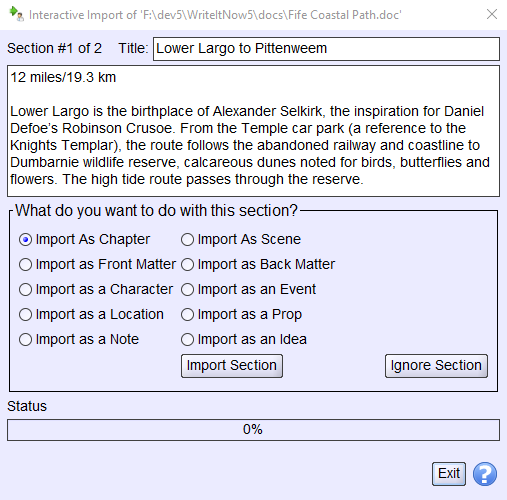  And an Import Tool allows you to import chapters and notes you’ve written in other sources, such as Microsoft Word, easily and instantly placing them in their most appropriate sections within WriteItNow5. And the Export Setup Tool allows you to convert your work into a completed book in any major format, including Microsoft Word (doc), PDF, ePub and html. When you use WriteItNow5 writer’s software and StoryCraft writer’s software, you are assured that the stories you write from now on will be the best stories you’ve ever written in your entire life. And the more you use them, the better you’ll become. It’s 2018, and over the many years since we began in 1996, we’ve sold numerous different software programs for writing stories. Twenty-two years later, we’ve narrowed our selection of software for fiction writing down to just two programs: WriteItNow5 and StoryCraft. All the other programs have fallen by the wayside. But these two phenomenal programs perform — in our opinion and in the opinion of our 1000s of customers — better than all the rest! And they work in perfect harmony together. That’s why we are offering these two programs for writers who need to write stories, any kind of stories, in this extraordinary specially-priced combo deal. They are simple to use, and they offer everything a fiction writer needs, whether a beginner or a professional. In fact, these are the simplest, yet most useful, two software programs you’ll ever need or use to write the perfect story. They allow you to write stories without distraction, without confusion, without doubt. Order WriteItNow5 writer’s software and StoryCraft writer’s software here. Find out more about StoryCraft here. …and now we offer a specially priced combo deal that gives creative writers and story writers all of the spectacular story-writing features of StoryCraft and all the phenomenal creative-writing machinery of MasterWriter all in one special deal available only here at the Writers SuperCenter! 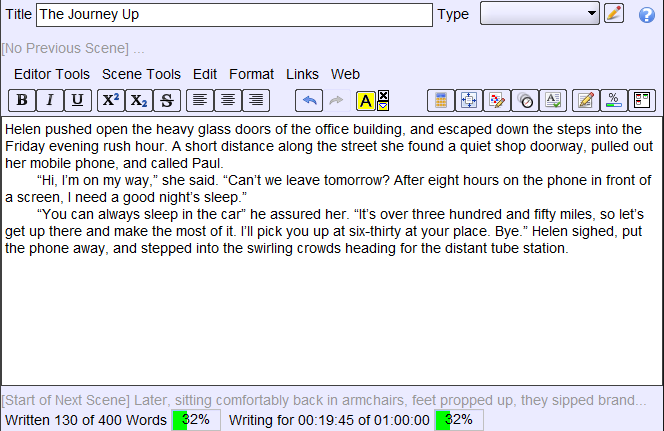 MasterWriter Software gives you the precise words and phrases you need for everything you’ll ever write! Buy it separately or in combination with StoryCraft Story Writing Software at an incredibly low price. StoryCraft Writers Software turns you into a master storyteller, taking all the story ideas dancing in your head and transforming them into fully-developed short stories, novels, and screenplays! Buy it separately or in combination with either WriteItNow5 Fiction Writing Software or Masterwriter Software for Creative Writing and Non-Fiction at an incredibly low price. 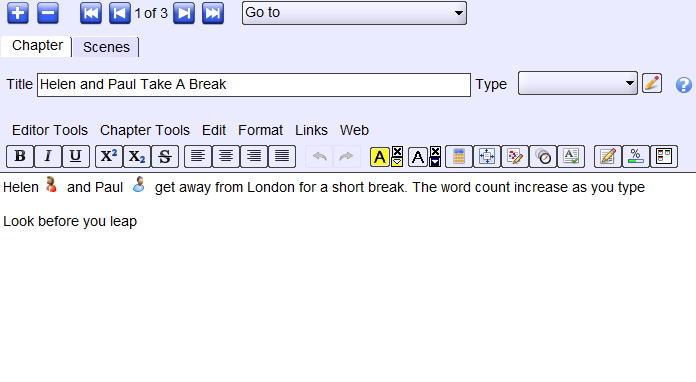 Wizards for Word Writers Software organizes the structure of everything you’ll write using Word! MasterWriter — Whether you’re writing a novel, a script, a blog, a song, a poem, or whatever your written or verbal communication happens to be, MasterWriter will unlock all that the English language has to offer. The unique tools and reference dictionaries contained in MasterWriter will help you to express yourself in a unique and more meaningful way. 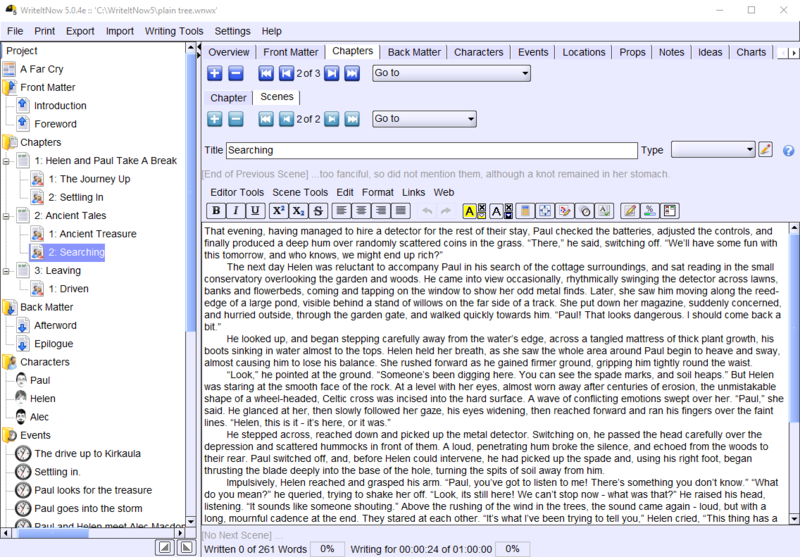 Check out our extensive demos of many of the features of MasterWriter! See also the Grand tour of the program. 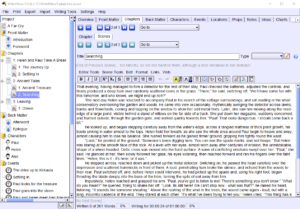 Wizards for Word Formatting Software, recently expanded into Cheetaah for Writers Software, offering an astonishing variety of formatting wizards designed specifically for MS Word. MasterWriter Software for Creative Writing is an incredible suite of writer’s tools that makes it easy to find and use the right words, phrases, and ideas for any writing situation. (Click here for a Grand Tour of this program.) … More details. Buy it separately or in combination with StoryCraft Story Writing Software for Creative Writing and Non-Fiction at an incredibly low price. 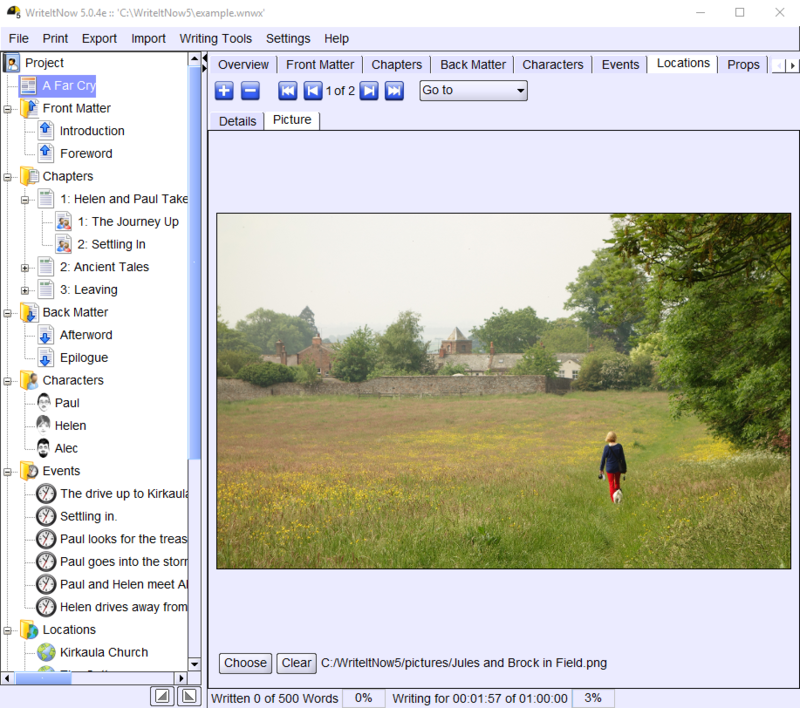 StoryCraft Story Writing Software helps create complete stories! Turn your story ideas into fully developed, professional screenplays, novels, plays, teleplays, and short stories! … More details. Wizards for Word® Formatting Software formats every writing task — from business plans and reports to correspondence, essays, memos, dissertations, and more — turning MS Word into the simplest yet most powerful writing creator you’ll ever use! … More details. They are our most popular because they give the writer everything he or she needs — to write books and articles, screenplays and novels, and just about anything that needs to be written for business, school, or fun. MasterWriter Software gives you the precise words and phrases you need for everything you’ll ever write! …and more! 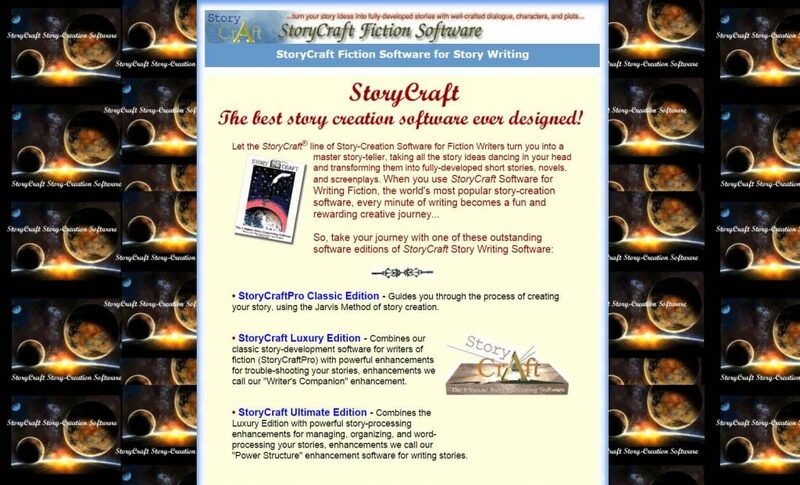 StoryCraft Writers Software turns you into a master storyteller! …and more! 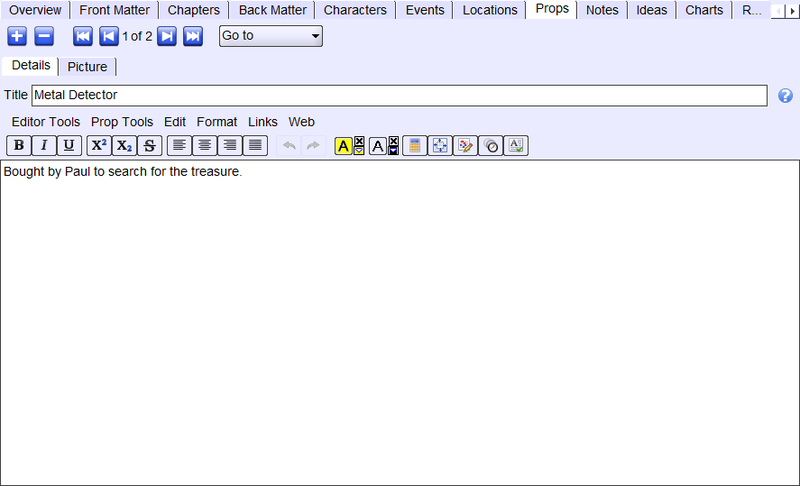 Wizards for Word Writers Software organizes the structure of everything you’ll write using Word! …and more! All software is the latest version and fully Up To Date. Windows and Mac Compatible. Instantly downloadable, or have CD-ROM(s) shipped. MasterWriter Software for Creative Writing and Non-Fiction is an incredible suite of writer’s tools that makes it easy to find and use the right words, phrases, and ideas for any writing situation. (Click here for a Grand Tour of this program.) … More details. 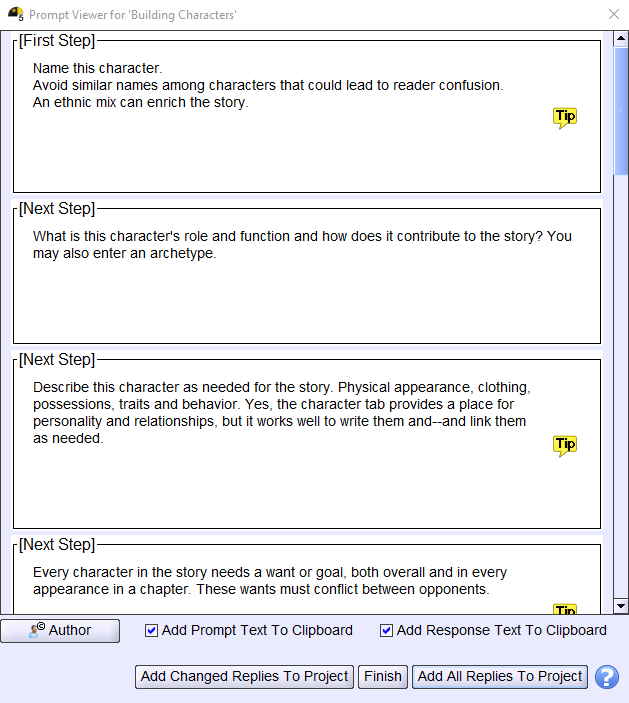 StoryCraft Writers Software helps create complete stories! Turn your story ideas into fully developed, professional screenplays, novels, plays, teleplays, and short stories! … More details. Wizards for Word Writers Software formats every writing task — from business plans and reports to correspondence, essays, memos, dissertations, and more — turning MS Word into the simplest yet most powerful writing creator you’ll ever use! … More details. Buy MasterWriter and StoryCraft for one unbelievably low combination price! Or buy any of the 3 software programs. Writers SuperCenter is the exclusive dealer of the MasterWriter–StoryCraft Combo (details). This is the only place where these 2 great programs are sold as a specially priced combo! So stop procrastinating and start writing…better than you’ve ever written before. Use our quick and easy Secure Online Order-Form, or call one of our knowledgeable software experts, toll-free 866-589-1022 to order. Enhanced versions of our Wizards for Word Software contain enhancements for ebook and print-on-demand publishing and for student/scholar research. 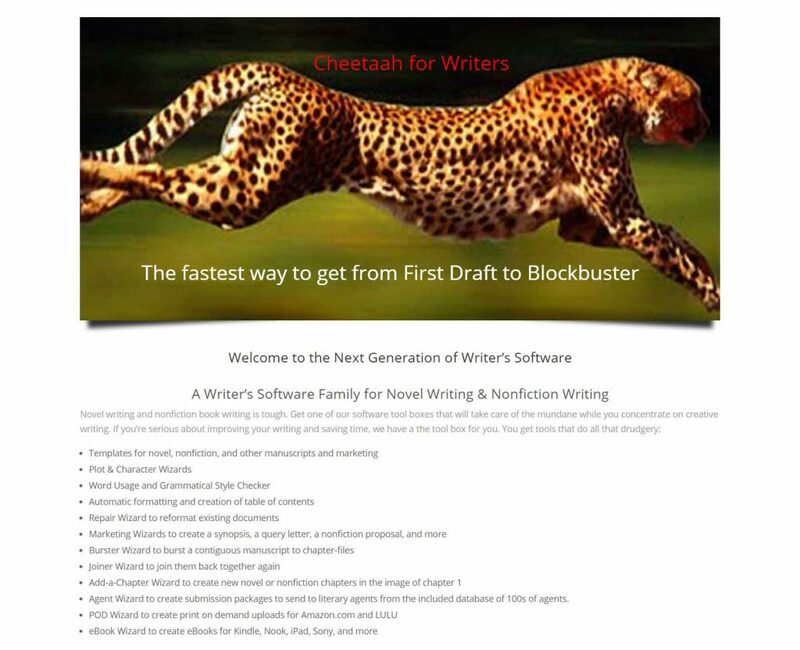 Wizard “Cheetaah” Publishing Software expands our Wizards for Word software into a complete publishing tool for every kind of publishing, adding wizards for e-book and print-on-demand publishing, creating book proposals, sending query letters, finding an agent, and more! … More details. 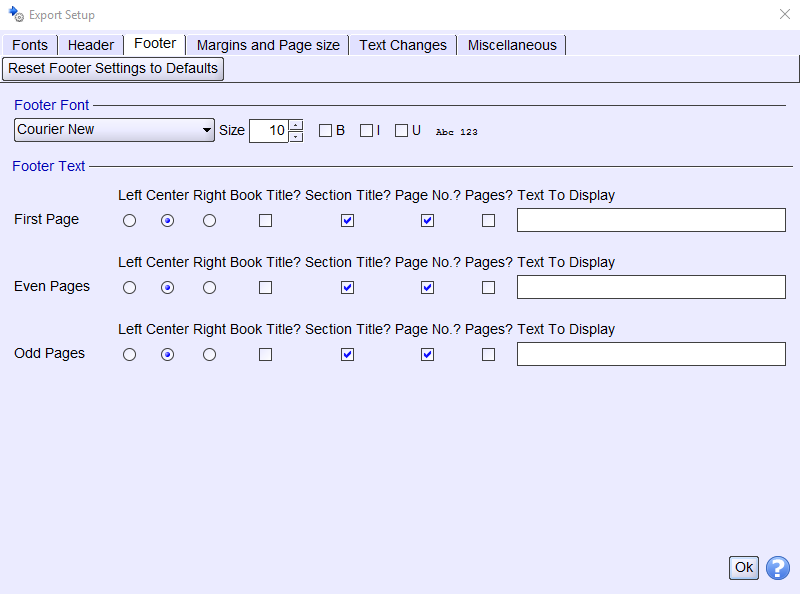 Wizards for Word Deluxe Software provides all the tools you need for managing citations and bibliographies in addition to everything in Cheetaah Publishing Software and Wizards for Word! … More details. and Sell More of Your Writing! You won’t believe how well you write with our software! • Formatting software? Try Wizards for Word Formatter for MS Word. 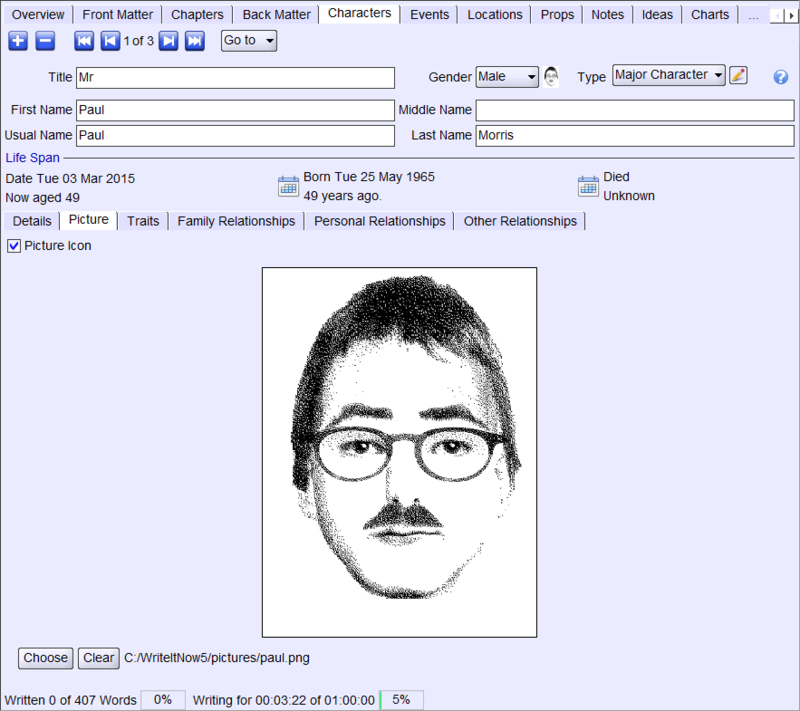 BioBuilder Biography Writing Software helps you build your life story, biography, autobiography, LinkedIn profile, Facebook bio, About page, and more! … More details. BioBuilder Bio Templates and More! is the indispensable resource to have for writing your biography! Writers Software SuperCenter: the only software supercenter for writers of every kind! Lowest prices on writing software and writers apps for writing books, novels and screenplays, technical writing, articles, e-books, and more. We buy in bulk so our writers software prices are lower than anywhere else! Only the best WRITER’S SOFTWARE in each category! Order outstanding WRITER’S SOFTWARE services quickly and confidently!